Since its formation last September, UN Women's HeForShe campaign has inspired hundreds of thousands of men and boys to join the fight for gender equality. Some of these men include world leaders, like Secretary General of NATO Jens Stoltenberg, who has joined HeForShe's IMPACT 10x10x10 initiative, a test pilot that will help launch the overall campaign and assess practical solutions for gender reform in a variety of sectors. Stoltenberg joins a long list of prominent figures who have pledged their commitment to gender equality, including UN leaders, actors, and even our own President Obama. For me, it is a matter of principle. Ensuring gender equality has always been central to who I am. We simply cannot achieve lasting peace and security without engaging half the world’s population. Too often, we overlook the critical and rightful role women have to play in resolving crises and in rebuilding societies after conflict. Gender equality isn’t optional. It is fundamental. It allows us to respond better and smarter to the many complex security challenges we face today. Created by UN Women, the UN component dedicated to gender equality and empowerment of women, on September 20, 2014, HeForShe is a global campaign inviting men and boys to help their female counterparts achieve their full potentials and thus improve society as a whole. The IMPACT 10x10x10 initiative gets the ball rolling for HeForShe's overall campaign by starting with three key sectors: governments, corporations, and universities. The pilot initiative will ask each of these sectors to identify gender inequalities and offer steps to addressing them, assessing the scalability and effectiveness of these solutions in order to chart HeForShe's long-term goals. 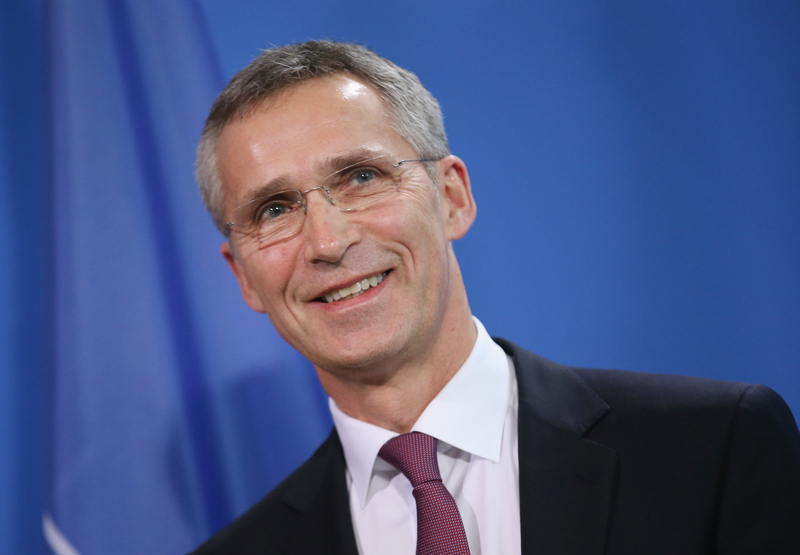 Stoltenberg is just one of the world leaders who have also signed up for the initiative. Take a look at all the men who want to tear down gender barriers. At a press conference on January 23, the initiative announced its Founding Champions, who will lead equality efforts in their respective sectors. These include Prime Minister of the Netherlands Mark Rutte, President of Sierra Leone Ernest Bai Koroma, Prime Minister of Sweden Stefan Lofven, CEO of Unilever Paul Polman, Chairman and Chief Executive Officer of Tupperware Brands Corporation Rick Goings, and Chairman of PricewaterhouseCoopers International Ltd. Dennis Nally. HeForShe has signed up fathers who want to raise empowered daughters; leaders who know their societies will be stronger when there are as many women in parliament and in business as men; and ordinary people who are fed up with violence and discrimination against women – and want to be part of a global force for change. The groundswell of response we have received in support for HeForShe tells us we are tapping into what the world wants: to be a part of change. Now we have to channel that energy into purposeful action. The pilot initiative provides that framework. Next we need all country leadership, as well as that of hundreds of universities and corporations to follow HeForShe's IMPACT 10X10X10 so as to bring an end to the persisting inequalities faced by women and girls globally.